Anthony O’Leary’s Antix (right) leading the fleet at the start of racing for the One-Designs and 1720 Sportsboats. 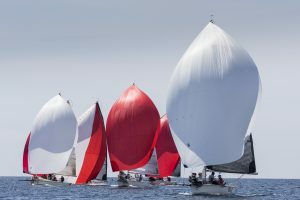 Jamie Frame’s Moonshine (right) from Glandore on the first day of racing for the One-Designs and 1720 Sportsboats. The Dragons were flying by the second race, with 15 knots of wind over tide powering the fleet up to full tilt. The racing was exceptional close, and by the end of two contests, three teams were tied at the top. 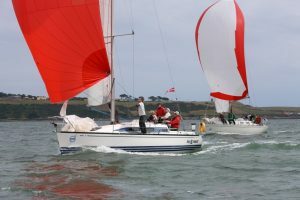 Daniel Murphy’s Serafina and Cameron Good’s Littla Fella, both from Kinsale YC, and Denis Bergin’s Sir Ossis of the River (Royal Irish YC). Anthony O’Leary’s Antix leading the fleet at the start of racing for the One-Designs and 1720 Sportsboats. 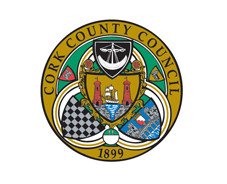 For the first day of the 1720 Southern Championship, Anthony O’Leary’s Antix (Royal Cork YC) won both races. 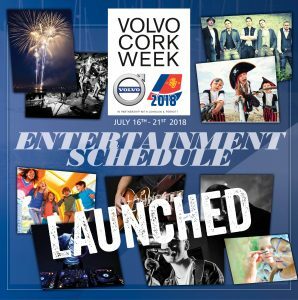 A late crew replacement for Tommy Murphy due to illness, led to 11 year-old Harry Moynan from Templebreedy National School Crosshaven, stepping on board Antix for his first taste of Volvo Cork Week. 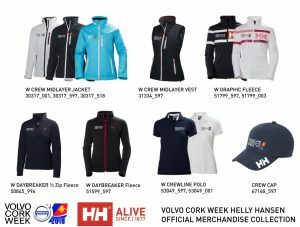 “It was great racing with my dad and such great sailors, I race in the Opi class at the Royal Cork, but I have never raced like that before. I was pumping the main downwind in the first race, and helped get the main in at the bottom mark.” commented Harry Moynan. For the Beaufort Cup, Barry Byrne’s Irish Defence Forces team, racing J/109 Joker 2, still lead the series but their lead has been cut down to just three points after two races today. Youen Jacob’s Baltimore RNLI team, racing J/109 Juggerknot, moved up to second place, and could have gone into the lead, but for a headsail problem in the first race. Denis & Annamarie Murphy’s Crosshaven RNLI team, racing Grand Soleil 40 Nieulargo, won both of today’s races to move up to third for the series. 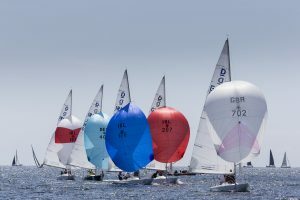 Frank Whelan’s Grand Soleil 44 Eleuthera (Greystones SC) revelled on today’s Olympic Course, winning both races to move up to third. After five races sailed, Jay Colville’s First 40 Forty Licks (East Down YC) leads the class by five points from Jonathan Anderson’s J/122 El Grand Senor (Clyde Cruising Club). Ronan Harris’ J/109 Jigameree (Royal Irish YC) was in sparkling form, winning both of today’s races to go top of the class after five races. Brian & Mary Jones J/109 Jelly Baby (Royal Cork YC) scored two podium results, but dropped to second, just two points off the lead. Dunlop & Cox’s J/108 Mojito (Pwllheli SC) and Jean Francois Nouel’s Sunfast 3200 Hakuna Matata (CN Pornic) are tied on points for third. After six races sailed the discard rule has come into force for the class. 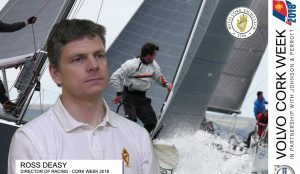 John Swan’s Half Tonner Harmony (Howth YC) has maintained their lead, but only by a single point from Kieran Collins Olson 30 Coracle IV (Royal Cork). Both teams scored race wins today. Ronan & John Downing’s Half Tonner Miss Whiplash (Royal Cork YC) won the last race of the day, staying in touch, just two points off the lead. Rory Fekkes’s Quarter Tonner Fn’Gr8 (Carrickfergus SC) was in fine form on today’s windward leeward course, smashing out two bullets to take a strangle hold on the series. Denis Byrne’s Trapper 25 Cracker (Royal Cork YC) is in second place, but only on countback from Paddy Kyne’s X-302 Maximus, which won the first race of the day. 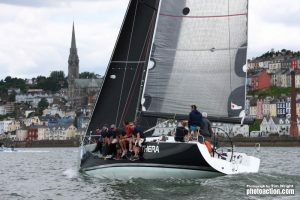 Denis Hewitt’s Mills 37 Raptor (Royal Irish YC) looks unstoppable in the Coastal IRC Class, scoring their third win of the series Raptor has ten point lead over Patrick Burke’s First 35 Prima Luce (Royal Irish YC). Henry Hogg’s Lisador (Garrykennedy Sailing Club) is just a point behind Prima Luce in third. 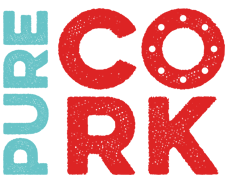 In IRC 1 Non-Spinnaker, a two-horse race has developed between the leading yachts. 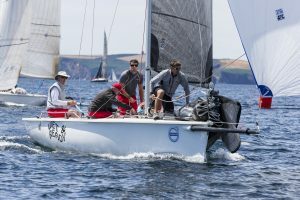 Broadhead, Collins & Stuart’s Sigma 38 Persistance (Royal Irish YC), and Aidan Heffernan’s Dehler 36 Indulgence (Schull Harbour SC), are locked in a battle royale. The two teams have won every race in the class so far, but Persistance has held onto the lead, after scoring two bullets today. 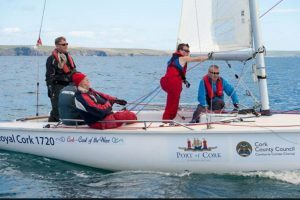 Clodagh O’Donovan’s Roaring Forties (Royal Cork YC) is third. In IRC 2 Non-Spinnaker, the O’Mahony’s Hanse 31 Loch Greine (Royal Cork YC) still leads the class, but two other Royal Cork YC teams are applying the pressure. Tom McCarthy’s Impala 28 Whistlin’ Dixie is just a point off the lead, after winning two of today’s races. Pat Vaughan’s Sigma 33 Aramis is third. Anthony O’Leary’s Antix (right) leading the fleet at the start of racing for the One-Designs and 1720 Sportsboats at Volvo Cork Week 2018.